We began songwriting in 2010, and in 2017 we decided to join forces and become 'Nine Year Sister', writing and producing our own original music. Much of our music is created with synthetic instruments, but we also love to blend it with acoustic guitar and ukulele to bring some warmth to our sound. We chose the name 'Nine Year Sister' because we are nine years apart in age and we're sisters. 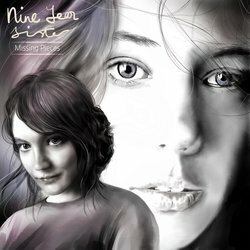 'Missing Pieces' is a sentimental and thought provoking piano ballad, wistfully sung from the heart.